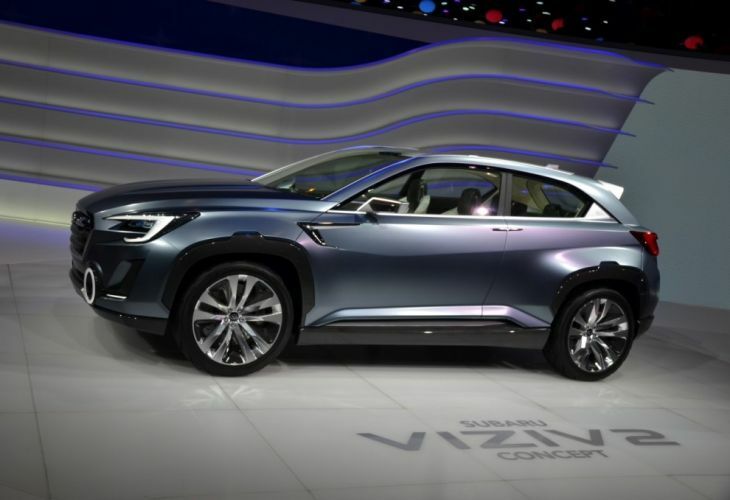 The next addition of the Subaru Viziv has been unleashed at the 2014 Geneva Motor Show showcasing the Subaru Viziv 2 concept, which seems to have maintained the familiar shape of its predecessor apart from the front end. This part looks more like the 2015 Legacy concept that was revealed at the LA Auto Show in November. Subaru has coined the word Viziv as short for “vision for innovation,” as the company intends to introduce new technologies and styling themes. Details and images of the Subaru Viziv 2 concept can be seen on the Motor Authority website as they highlight the new prominent LED fog lamps seen on the back and front bumpers, although they also feel these features could left out when it comes to toning down the concept’s styling. Were you looking out for the new Subaru Viziv 2 concept at the 2014 Geneva Motor Show? Please let us know your thoughts on the new Viziv in the comments section below.